It's listed as a threatened species, and almost canceled a fishing derby in Rohnert Park one year. 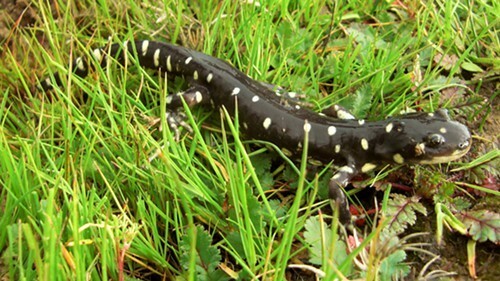 But in the North Bay, there's another threatened amphibian that makes more headlines: the tiger salamander. This dark, brightly-spotted creature can grow to about eight inches in length and can grow construction costs exponentially. The development community is well aware of this, as is the anti-development community—the poor little salamander is trotted out like a mouse in an elephant pen every time new development with big-box stores is proposed. Sonoma County is aware of this as well, as evidenced in an update about the proposed Moorland community park presented to the board of supervisors in March. Looks like the red-legged frog gets the glory, but the tiger salamander gets the last laugh around these parts.